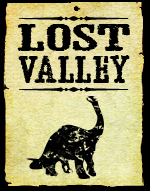 I’ve fixed several of the bugs that were encountered with the Weird West Story Cards. I’m going to go ahead and call the game released for purchase. I want to thank everybody who pre-ordered and played the beta and provided bug reports and feedback. To install the zip file update simply overwrite the 3 files as well as the GameData folder at Program Files\Cryptic Comet\SixGunSaga with the files in the zip. You should see Beta 1.07 as the version number in the bottom left corner of the main menu screen if the install was successful. You can also just re-download the install file using your purchase email confirmation from BMT Micro. Contact my support email if you have any problems with this. I’ve created a small demo version of Six Gun Saga and uploaded it to my amazon aws account for download. It allows you to play against a single AI on the shortest turn length setting (15 turns). That’s basically the trainer mode. The Weird West content is not included. I’ve also just gone and placed it in a folder in a simple zip file instead of making an install package. You can just download the file and unzip it to your desktop and run it from the folder by double clicking on the SixGunSaga.exe file. Looks like I picked a bad week to stop sniffing glue. If you downloaded the new version in the last few hours I apologize but you will need to redownload the new 1.06a version. It seems that I forgot to uncomment some code and it will cause problems with some posse movement orders. So 1.06a is the version to have. Thanks to the vigilant Mr. D for the early adopter warning. Update 1.06 Beta is now available. There are new art assets as well as data files so you will need to uninstall the old version and then download and install the new 1.06 version. During the start game setup menu you now have a check box to enable the inclusion of 4 Weird West story cards and their guardians. The rules for these cards are a little different than your normal story cards. – Guardians never retreat anywhere. They simply go back into hiding. – If a posse is on the story card when the draw phase occurs it gains a bonus that is described on the story card info. It is also awarded a set amount of VP’s that are also detailed on the story card info. Finally the posse is returned to the corresponding player base card and now can be accessed by the posses belonging to other players. The posse MAY move the following turn. Special Ability: The vampire regenerates all wounds between player turns. 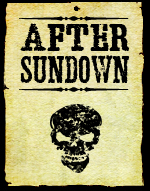 – AI players will now give more weight to hiring townsfolk who provide VP or cash bonuses when players are sent to boot hill. Surprise! Well probably not a surprise for most of you. I’m going to extend the beta buy in a little while longer while I am working on 1.06. 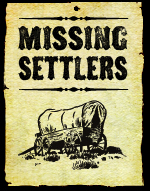 I’ve got one extra module that I am trying to implement which is an optional group of story cards that you can add to your game that brings a slight Weird West flavor to the play. The concept is not very original for me… in fact it’s just like Cults of the Wastelands for my Armageddon Empires game. 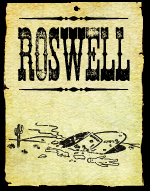 Each Weird West story card (there are only 4) has an “independent” posse on it that must first be defeated by a player/AI posse before it can have its VP’s taken. OK. Here is Six Gun Saga Beta 1.05. You can either re-download again/uninstall the old one and then install the new one OR use SGS Update 1.05 ZIP if you have version 1.03 or greater already. To install the zip file update simply overwrite the 3 files (AIScripts.cxt, MainIFace.cxt, GameEngine.cxt) and the GameData folder at Program Files\Cryptic Comet\SixGunSaga with the files in the zip. You should see Beta 1.05 as the version number in the bottom left corner of the main menu screen if the install was successful. Also included are two new executables that will appear in the SixGunSaga folder and will allow you to 1) run the game fullscreen and 2) run the game at 800 by 600 for netbook type computers. You can make shortcuts by right clicking on the executable if you desire. I’ve decided not to clutter up everyone’s desktops with shortcuts created by the install program since I am anticipating that most will play windowed. Here is a list of some of the major fixes. Modified VP values for many of the outlaw dudes so that large outlaw posses must spend more time on story cards to complete them. I’ve finished the latest round of bug fixes for the Six Gun Saga Beta. You can either re-download again/uninstall the old one and then install the new one OR use SGS Update 1.04 ZIP if you have version 1.03 already. To install the zip file update simply overwrite the 3 files at Program Files\Cryptic Comet\SixGunSaga with the files in the zip. You should see Beta 1.04 as the version number in the bottom left corner of the main menu screen if the install was successful. I’m going to continue to fix these types of issues and then start in on improving some of the AI weaknesses such as coping better with the killer stacks with high gunfights and toning down the AI aggressiveness and penchant for pursuing near hopeless battles. Thanks again to everyone who has sent bugs and save games in. I haven’t been able to respond to every email because of the large number that I’ve gotten over the weekend but I have been working my way through them all. 1.02 was out briefly but has now been super-ceded by 1.03. You should uninstall the lower version and then download and install the current install file from your download link. I apologize for the inconvenience (in the future I will try and offer small downloadable patches/updates) but the original install misplaced the location of one of the shortcuts and on reboots it offers the shortcut in its own folder. Uninstalling the game will remove this nuisance. Here is a brief summary of what 1.03 fixes. I’ve had some reports of Actions like “Retired” causing problems during targeting. I can’t reproduce it myself but if anybody can then please send me a save game. So Six Gun Saga is nearing completion. It’s been a long and dusty trail. My intent is to do a pre-order/beta buy in type thing starting next week. You can basically buy the game and get download access to what is being called the 1.01 Beta. It’s very playable and content complete as far as the artwork goes. It’s been pretty bug free for me lately but with more monkeys pounding on it, I am hoping to find more things to fix. Once the game is declared released you can use the same serial key and download link to install the final product. That’s the plan. The price will be $11.99 for the pre-order and probably $14.99 for the final game. What to expect? You can download the manual here in PDF format 1.86 MByte. It’s not the final version and has some typos but it’s pretty close. It will give you an idea whether you might be interested in taking a gamble without a demo. I’m not sure if there will be a demo on release. I’m planning on offering one but games can be over in as short as 10 turns. I’ll probably have to come up with something that is limited to 5 turns just so players can see how the mechanics work. It’s single player only. It’s PC only. It runs windowed 1024 by 768. Same old dog, same old tricks. The game is not epic like AE and SI so be warned. It’s a palate cleanser. You do still need to read the manual. The idea was to create situations where you had to make tough choices and sometimes take a gamble. Games are short. You should be able to play the default setting game in 30 minutes. I’m hoping that it makes most people think. I’d appreciate it if any early adopters would post in the forum for the game so I can fix any bugs and improve the AI. The AI was tough for this game. I think it’s decent at this point but I’m its father so take that for what its worth. I’ve also made some price changes on my existing games. The website will be updated to show this next week but you can now purchase AE and SI for $24.99 each or both for $45.99. For SI if you purchase 4 or more in one order you will get $10 off each item so it comes out to $14.99 per item. If you have a group of people who want to play by email then this would be the way to go. If you absolutely can’t wait for the website to get updated to pre-order you can pre-order/download the game here. You are currently browsing the archives for the Six Gun Saga category.